The story of the first Navitimers is shrouded in mystery and even controversy. Quite simply, no-one knows for certain the full story, or if they do they have not yet spoken. 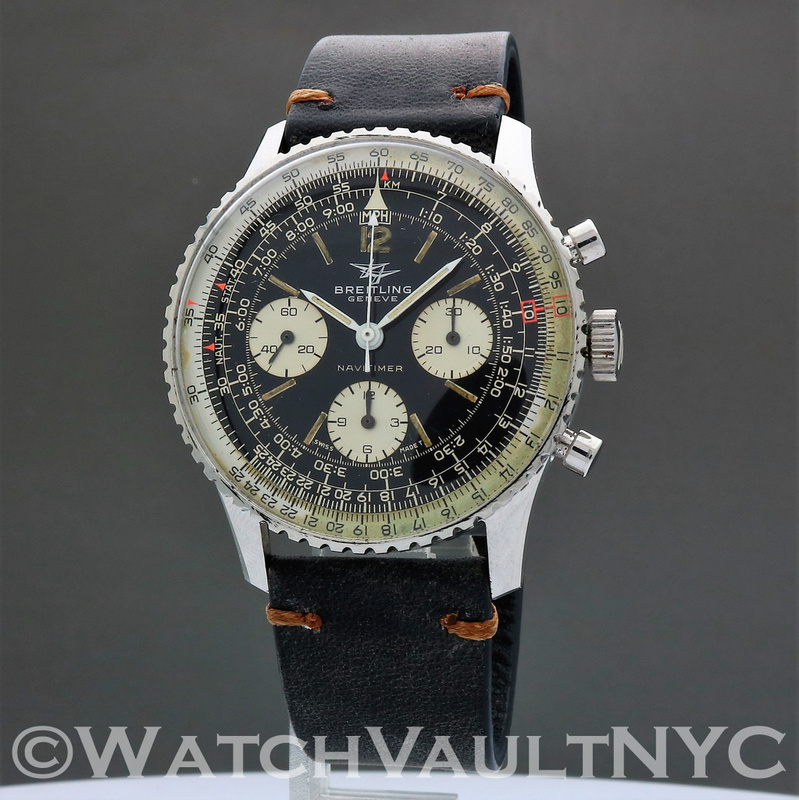 The records held by Breitling SA in Grenchen, Switzerland are incomplete, so to tell the story of the most famous Breitling of all involves detective work and even a certain amount of speculation; the foremost world experts on vintage Breitlings cannot agree on all details. What is certain is that following the great success of the Chronomat, the world's first slide rule chronograph released in the early 1940's, Breitling made a second slide rule chronograph and released it some time between 1952 (claimed by Breitling) and 1954 (believed by eminent Breitling experts). 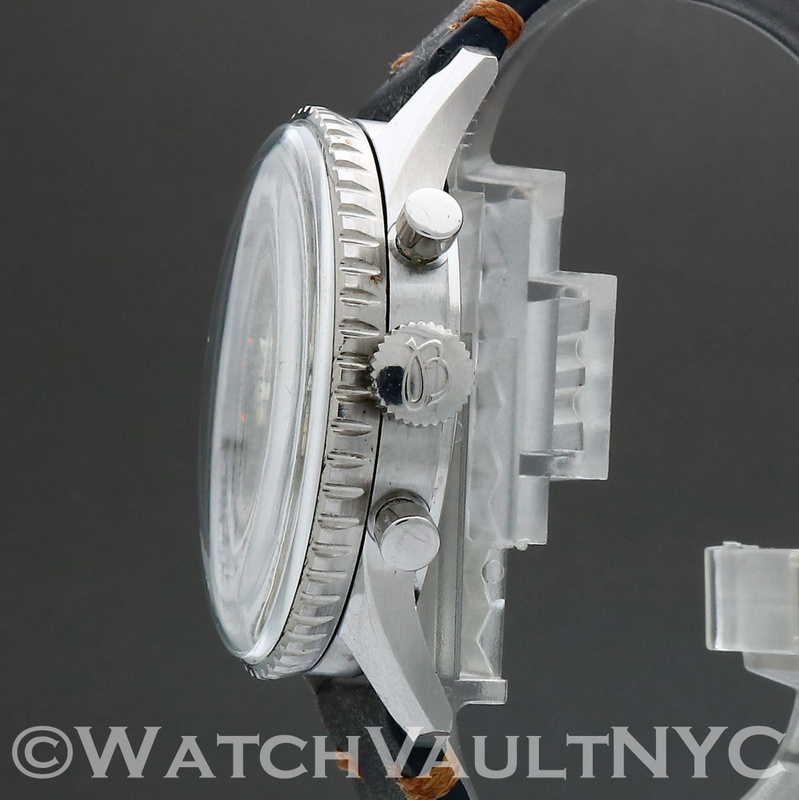 Navitimer ref 806, silvered sub-dials - circa 1959 onwards. It appears that the all-black dials were gradually replaced from possibly as early as 1959 with dials with silvered subdials and that the hands and the bezel were also replaced with later designs from ca 1960 onwards. 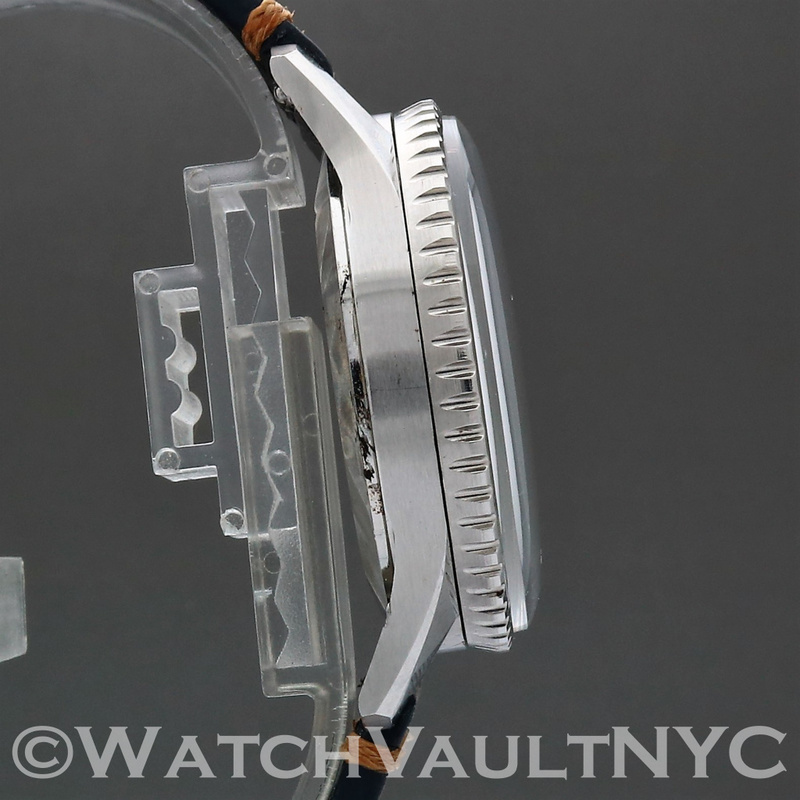 A further complication is that hands from the AVI model may have been used on the ref 806 during this period. Without reliable documentation it is difficult to be absolutely sure of the facts but most collectors and experts agree that there was a transition period between about 1959 and the early 1960's when Navitimers were released with a mixture of old and new features. 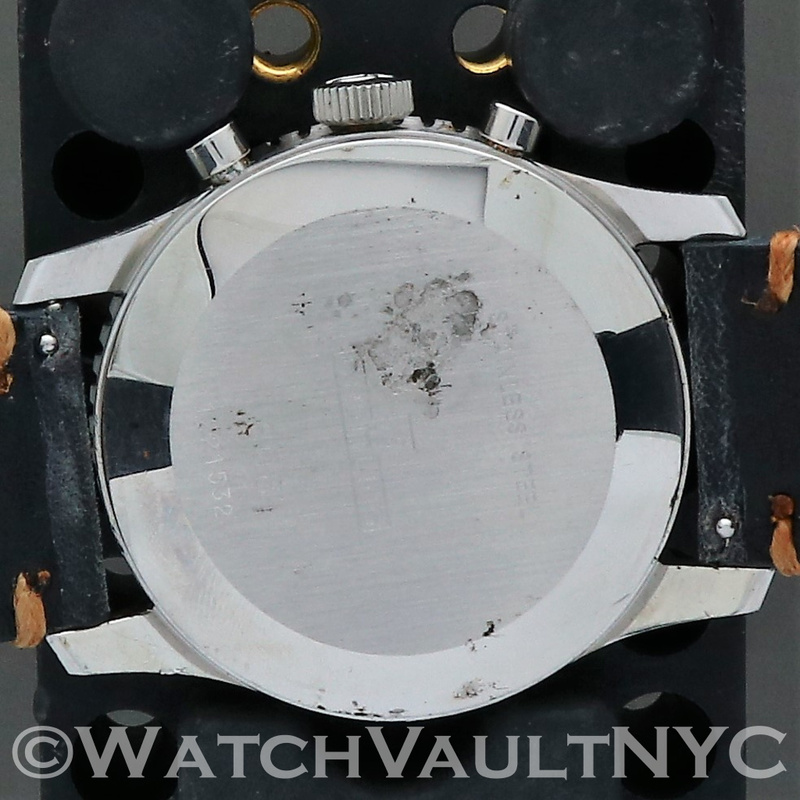 However it is always possible that earlier watches have had later dials and/or hands fitted during a service, or even that later watches had earlier parts fitted, so great caution is needed by the serious collector who is concerned with 100% originality when purchasing an 806 from this transition period. After the move to the new versions the model reference remained 806 and as before the Navitimer was available in steel, gold-filled or 18K gold. As with the previous all-black dial Navitimers, there were several variations in the silvered subdial Navitimers. The most noticeable was the increase in size of the subdials. The exact date when this was first done is not known but is thought to have been in the mid-1960's. The earliest example seen by the author dates from 1964 but as always, without definitive documentation one cannot be absolutely sure that the dial was not changed from the smaller subdials version at a later date. After about 1970, there are less and less Navitimers with the smaller subdials and ca. 1970 is generally thought of as the time when the smaller size began to be rapidly phased out.